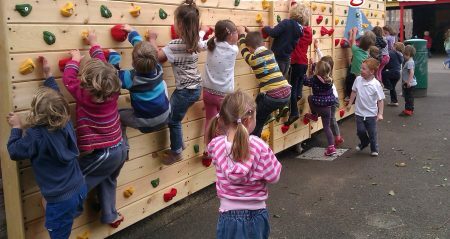 Why a climbing wall in school would be a great idea! Wouldn’t it be great? – fantastically exciting for the children and such an amazing confidence builder! It is actually something that I have thought about many times and to my regret never did anything about it! But just how can we justify the purchase of such a piece of equipment and what would be the benefits for the children? With the current concerns surrounding childhood obesity and general inactivity of children (and unfortunately adults also!) there has been a rush to provide ideas, activities and equipment in schools. This has the mistaken notion that if you provide it then the children will use it…. but depending on what you provide; results have shown that use of equipment is varied according to what it is! So for example – there was a big push in the past 5 years to put into schools a trim trail – the idea being that classes could use the multi exercise facilities to improve overall fitness and health of the children. These were generally very expensive to buy, fit and also to maintain. So have they worked – in a word NO. The idea is laudable enough but schools have never really risen to the challenge of pushing the children over an assault type course regularly in order to see positive gains. 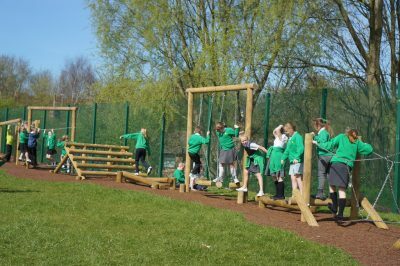 In short – children will play on individual parts of a trim trail but rarely will use the whole setup…and in fact if the trim trail is not playground sited then it often becomes unused! So why would a climbing wall be any different? Well the first thing to say is that it actually is different – how many schools do you EVER see that have a climbing wall….not many I would guess! Kids love to climb – and depending on the type of wall that you buy then there is the option for them to do so unsupervised….well as much as they can use it without an adult standing next to the wall. Climbing is a multi level challenge – so it really is up to the individual child as to how difficult or easy they make their own personal “journey” up or across the wall. Its a great way to develop, fitness, flexibility, agility, hand / eye coordination, balance and confidence. Schools can start with a basic wall and extend / improve and alter as they go. Obviously for Primary schools we would not be looking at a high wall that would need supervision and also the use of rope attachments. Not only does this preclude let’s say playtime / casual use by the children (which is what we wish to encourage) but it requires staff training and many health and safety requirements and certifications. So a high wall is not what we are looking for. and are more appropriate to Secondary schools and indoor use…..but great fun if you’ve ever had a go on one! What are suitable for Primary Schools? What we are really looking at are TRAVERSING WALLS. Here are some of the features that really make them a great buy (in my opinion ) in a Primary School. Specific safety flooring is not a requirement as the footholds are less than 600 mm from the ground, however naturally I would think most schools would prefer to have fitted some form of soft flooring. Traversing walls can be either free standing or fixed to any interior(hall) or exterior walls. They can be both adjusted, changed and upgraded as time goes by to provide an ever changing challenge. Staff do not need special training and for the most part traversing walls do not require high levels of supervision. Of course like anything else it really does depend on what you want…wall mounted, free standing zig zag etc. The figures below will give you some sort of idea. All these plus any flooring you may wish. Personally I think they would be a really exciting addition to any school and certainly one that would attract the children. 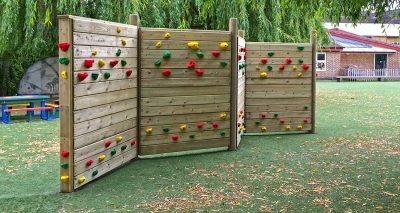 Would I buy one in preference to let’s say a trim trail – YES I would and the options to expand the wall and adjust challenges and levels of difficulty allow it to be refreshed and expanded at regular intervals. Bishop Road School has 780 primary school children and is one of the largest primary schools in the South West. 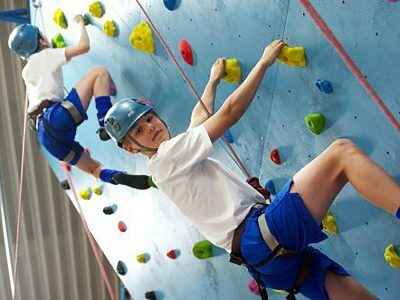 “We have worked closely with Climbing Wall Solutions for many years firstly with installing our indoor and outdoor climbing walls. Now they advise on safety inspections and general upkeep. 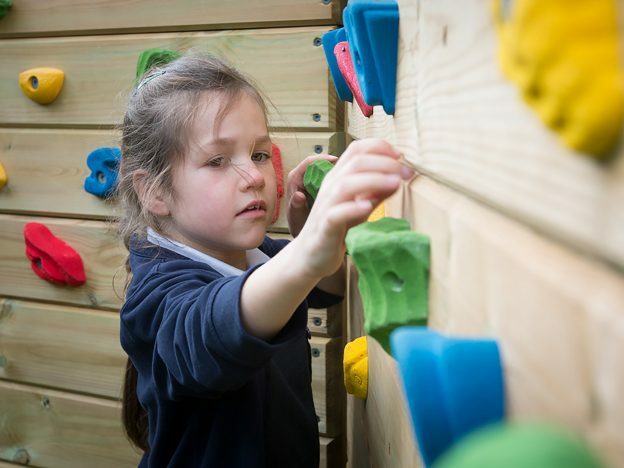 We have found many of our visitors who come to the school are amazed at the climbing walls. 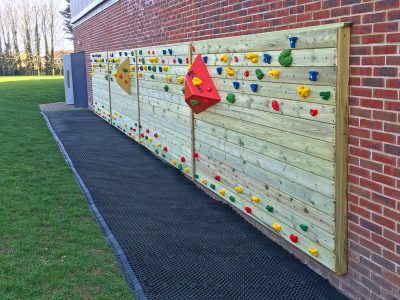 So there you have it – climbing walls in Primary schools…. if you hadn’t thought of it before then hopefully this article may just plant the seed of an idea? Here is a point of reference to possibly start your search. This entry was posted in Management at all levels, NQT, Personal Teaching on March 13, 2018 by Charles Watson.